8mm Film & 16mm to DVD & Hard Drive Transfer. Scene by Scene Exposure & Color Correction. With the advent of the Vhs Format, consumers now had the ability to do away with troublesome 8mm Film Projectors and cumbersome screen setups to view their 8mm Film Home Movies. However film transfers directly to VHS Tapes could not have been done in the best of quality and resolution was poor, due to the lack of professional equipment and technology, at that time. Today, such transfer setups are still in existence, only difference is 8mm film is directly recorded to DVD, ie "straight transfers". Quality of transfers of 8mm Films in this fashion is still poor as DVD recorders do not have the ability to adjust important settings that would create excellent resolution and results. Here is where we at Digital Video & Film Lab we excel in our quality transfers. 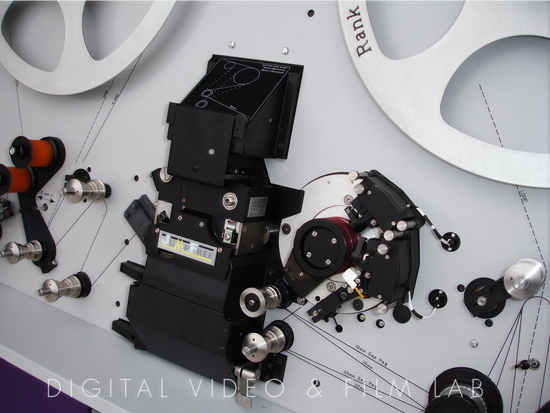 Our process is extremely unique and with over 25 years of experience in the business, we developed a full resolution scan of 8mm film that encodes film DIRECTLY to a DIGITAL FILE. We have the ability to set over 45 different settings within our HardWare Encoders to create and enhance excellent file quality, before being authored to DVD. Color is Enhanced, Exposure Corrected, Backlighting adjusted, SCENE BY SCENE. Upon Creating Digital file, all DVDs created are fully Authored. Digital Files are provided with each DVD at no extra cost, a testament to our process knowing that your films originated from Digital Files. All Films are inspected visually for any damage. Films are measured to determine accurate footage count. Final Estimates are written up and we will consult with clients on estimate and film quality report. Upon approval, we will begin the process of Cleaning and Lubricating. Dust and Dirt is removed from film to expose clarity, saturation and proper exposure as intended in the original film. State of the art Equipment, where Film is scanned at a high resolution while color timed etc. Digital file is Created. Digital File is edited for color balance and faded or back film is edited out to final output file. DVD is fully authored from Digital File with customized Design, titles and scene selection. Worried about out of sequence film? not to worry....your digital files can be edited and placed back in sequence. Our 8mm Film Transfer Process is extremely unique and designed to maintain full resolution of 8mm film. There is absolutely no quality loss during any stage of the film transfer process. We are a member of the National Film Preservation Board and with over 25 years of experience, we bridge the gap between 8mm Film Conversion and Quality Transfers. Owner brings over 10 Years of experience from the motion picture industry where he post supervised over 8 Motion Pictures.